We’re celebrating the children’s activities revolution! 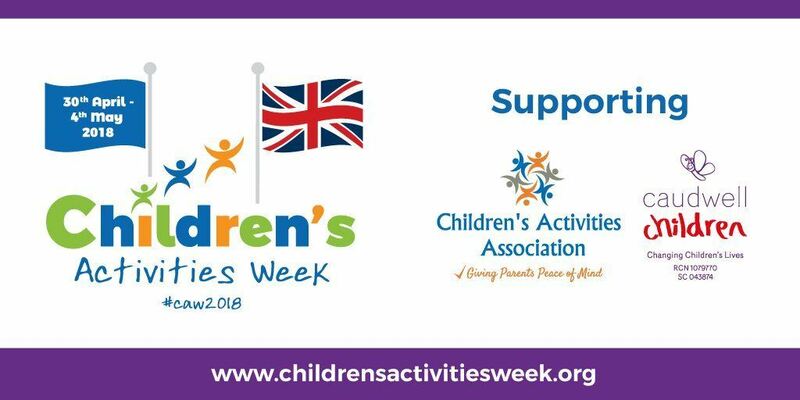 Children’s Activities Week is an exciting NEW national event celebrating the hundreds of thousands of activities, clubs and classes benefiting millions of children every day across the UK - helping them stay fit, healthy, engaged and happy! Showcase the huge range of activities which take place every day throughout the country – from sport to languages, science to yoga and art to bush-craft and the fantastic teachers and coaches making it all happen. Raise vital funds for 2 fantastic causes. 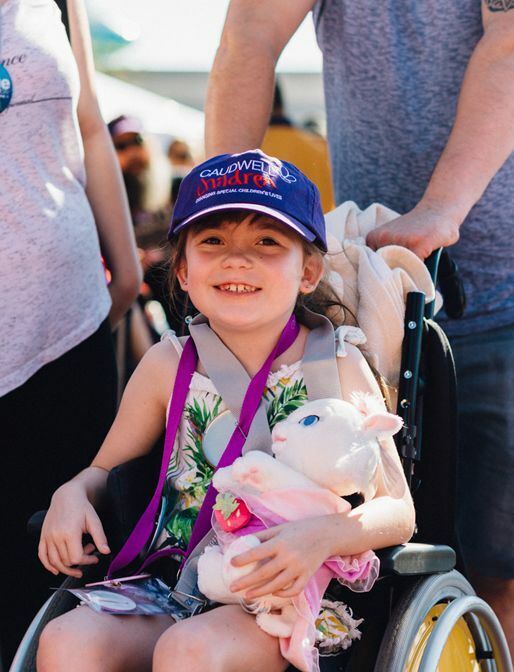 Caudwell Children does amazing work to enhance the lives of disabled children and their families, providing access to services and support and raising awareness with the motto ‘whatever it takes’. 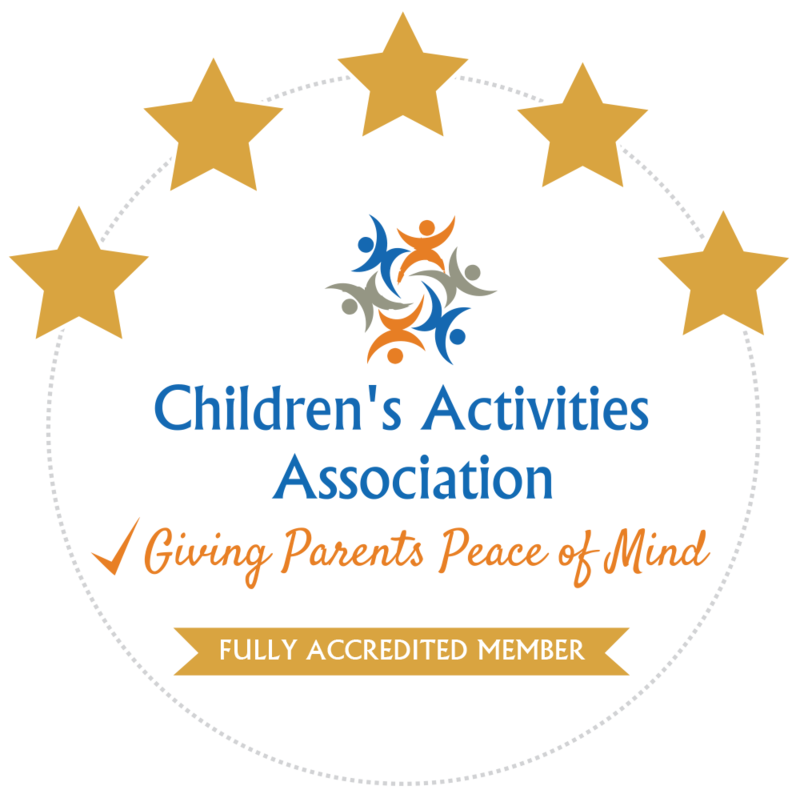 The Children’s Activities Association is the first not-for-profit, industry-led independent organisation to raise standards in all organised children's activities and at last offer parents, schools and nurseries a swift way to get peace of mind when choosing activities. Highlight the positive impact children’s activities have on physical and mental health and wellbeing for children (and for parents) along with the huge potential benefits developmentally, educationally and socially that participating within activities can bring. This is at a time when concerns around childhood obesity and levels of screen time rarely seem to be out of our press. With the focus on FUN, hundreds of thousands of children (and some grown-ups!) 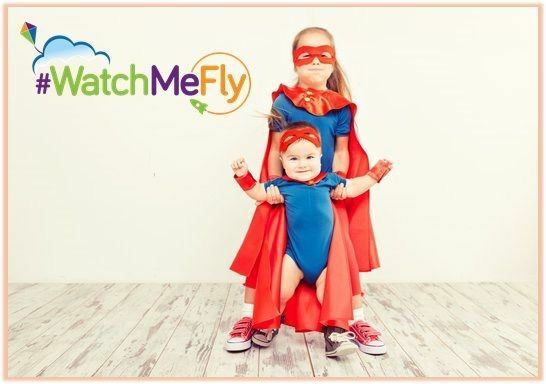 will be dressing up to attend their favourite activity, club or class around the theme '#WatchMeFly'. Look out across social media or on the streets of Britain during Children’s Activities Week for a wealth of bees, pilots, butterflies, dragons, rockets, ladybirds, superheroes, fairies and more, all in celebration of the week and all the exciting things taking place. 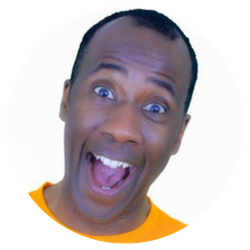 There'll also be amazing competitions, VIP visitors – such as sports personalities and Olympians - to clubs and classes and a world record breaking attempt with Sid Sloane from CBeebies sponsored by Morton Michel! Participants from anywhere in the UK can sign up and join Sid at 10.15 on Monday April 30th as we blast-off Children’s Activities Week in style! Sid will then be visiting a wealth of different kids’ clubs and classes, ending his tour also sponsored by Morton Michel with a guest appearance at ‘Under 1 Roof’ in London as the exciting week comes to a close. Find out more about What's On. Thousands of children’s activities and over 200,000 children and more than 1000 kids’ activity providers are expected to participate and with no charge to be part of the action and so much to enjoy and benefit from it’s no surprise that Children’s Activities Week is set to be the most inspiring and remarkable event of its type ever witnessed in the UK. 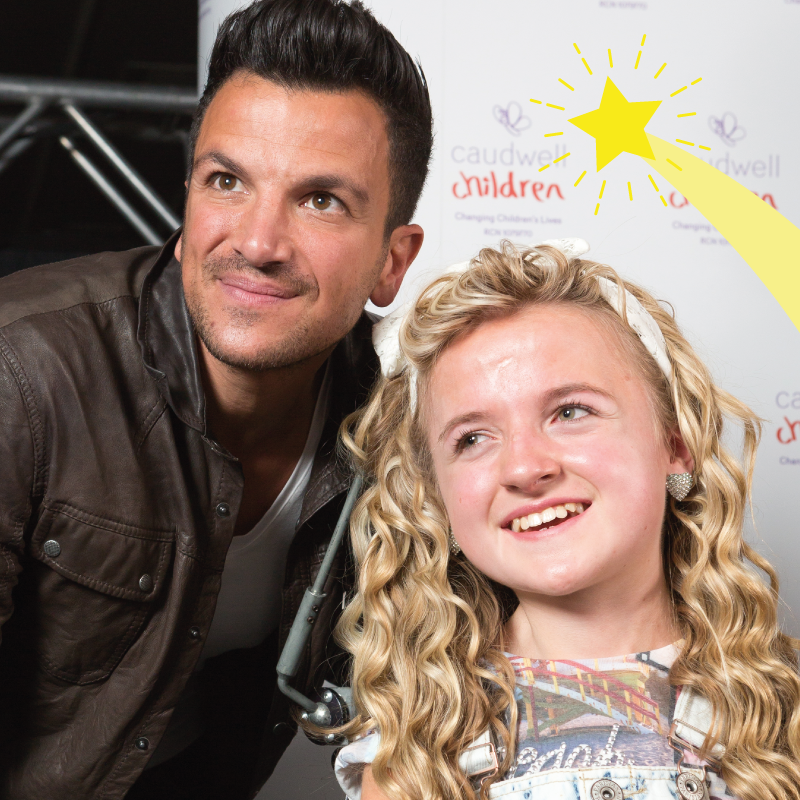 And, the children’s acti vity or group who raise the most money for charity and show the most energy and passion for the week will also be rewarded with a very special prize – a visit from singer, TV presenter and personality Peter Andre! 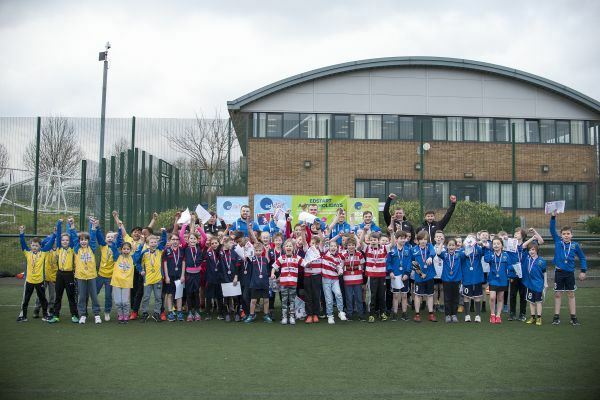 A wealth of sports personalities and celebrities are also supporting Children’s Activities Week to include celebrities, children’s TV personalities, Olympians and Paralympians. Children’s Activities Week will run from April 30th to May 4th 2018 UK-wide. The CAA welcomes the report and supports the call for increased priority to be given to physical activity in the daily lives of young children. The report was made possible by CAA Founding Member and Fully Accredited Gold Member, Water Babies. The CAA would like to draw the APPG and the Government’s attention to the raft of examples of best practice that can be found within the growing list of CAA Fully Accredited Gold Members and we encourage health professionals, social workers and early years educators to adopt a coordinated approach to signposting families to developmentally beneficial activities to promote healthy, holistic development. The CAA is particularly pleased to see that recommendation 4.6 includes an 'inspection system that challenges ineffective delivery (of active learning)’ as this is what is being delivered to all CAA members through the CAA independent accreditation process. The CAA is well-placed to assist with the ‘creation of National Quality Guidelines’ as the CAA accreditation process assesses the developmental benefits of children’s activities and makes recommendations for increasing the health benefits of the activity sessions for children. The CAA is also well-placed to support EY PD/PA professionals as recommended in point 5.8 and would certainly make a valuable contribution to a EY PD/PA taskforce. The CAA is developing a programme of training opportunities including the first Children’s Activity Leader NVQ Level 2 developed with Icon Training and would be willing to develop this to meet the needs of the PA/PD professionals. CAA particularly welcomes the focus on activity for children with additional needs, and the recognition of the need for better understanding of the diversity of different communities and the impact this has on the access to activity by young children. The CAA is proud to highlight that inclusivity is criteria for successful completion of the training, programme and delivery modules of the CAA independent accreditation pathway. We welcome initiatives that further support participation in physical activities for children with additional needs and those that meet the needs of specific cultures. This is high on the CAA agenda evidenced by the recent announcement of the partnership between the CAA and the Caudwell Children charity that provides practical and emotional support to disabled children and their families. 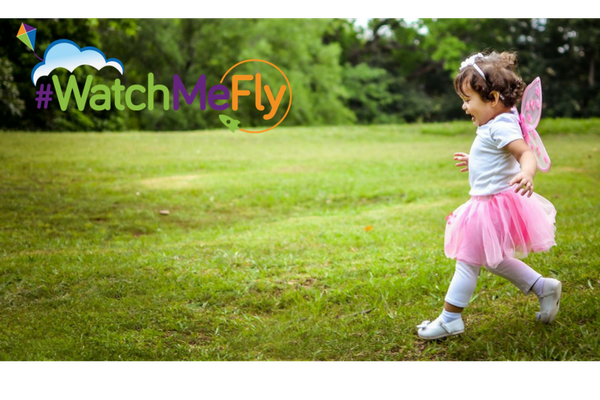 As the CAA grows in terms of members and stature it's very important that we start to establish ourselves as the 'go to' experts in children's activities and related issues such as physical and mental well-being, 'screen-time', fitness levels in children etc. Other influencers and advocates alongside The Guardian include Royal College of Paediatrics and Children’s Health, Meningitis Research Foundation, Asthma UK, Royal College of Midwives, Jenny Aguter, Action for Children and UK Active. The reach of this campaign is in the millions but also includes the targeting of Primary to higher education professionals and Teaching assistants. Seven Reasons Why Kids’ Clubs And Activities Are Brilliant For Your Children! Find out more about Gold accredited EdStart, our latest featured member. 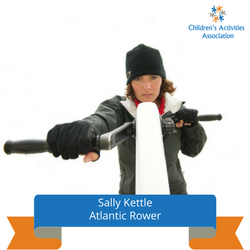 We are delighted to welcome celebrated Atlantic rower, adventurer, author and speaker, Sally Kettle, to the Children's Activities Conference on 25th November 2016. Sally speaks and writes of her adventures at sea. Her experiences have inspired and changed the lives of others. As the first woman to row the Atlantic Ocean twice from East to West, Sally tells of rough seas, wild storms, harsh living and encounters with marine wildlife, including sharks. Yet it is Sally’s experiences of people, which provide illumination and insight. Sally has raised £500,000 for charitable causes. She is an Ambassador for Girlguiding, and Chair of the Trustees at The London Sports Trust, and has served on humanitarian aid missions. Charlotte Be dford, Technical Manager at Tumble Tots, explains why the CAA and achieving CAA Gold Accreditation is so important. Congratulations to the whole Tumble Tots team for making it very easy for parents to see at a glance that all aspects of the Tumble Tots programme have been independently reviewed and meet expected standards. We were delighted to that the CAA Member of the Year is diddidance with Kidslingo highly commended. 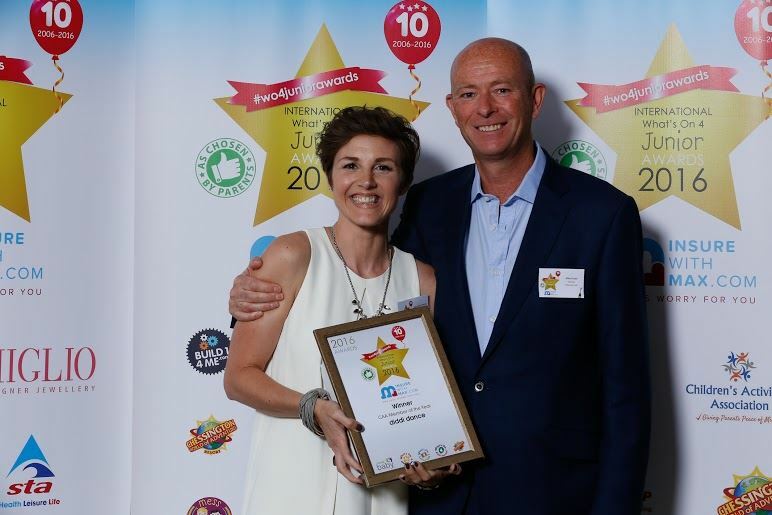 Anne-Marie Martin, founder of diddidance, accepted the award from CAA chairman, Mike Dodd, at the What's On 4 Junior Awards ceremony on 23rd June. The What's On 4 Junior Awards are in their 10th year and over 150 children's activities providers, sponsors and VIP guests attended the event at Chessington World of Adventure. The awards celebrate the best children's activities and are nominated and voted for by parents. CAA Member of the Year award is a new award and judged by the CAA main Board. The CAA Board were looking for members who had embraced the CAA message completely. diddidance joined the CAA as a Founding Member because they believe in raising standards and collaborating with others to make the whole children's activities industry better. 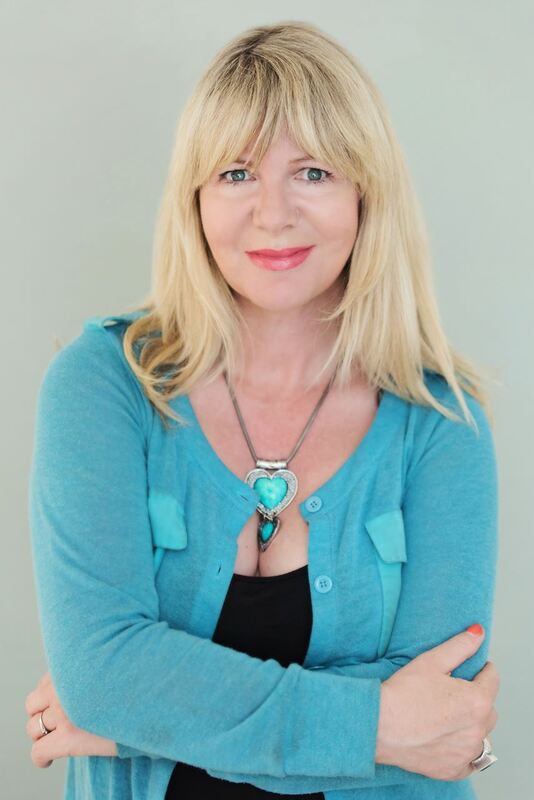 Anne-Marie has been very actively involved in the launch and growth of the CAA and is now a member of the Strategy Board. Congratulations to diddidance and Kidslingo! 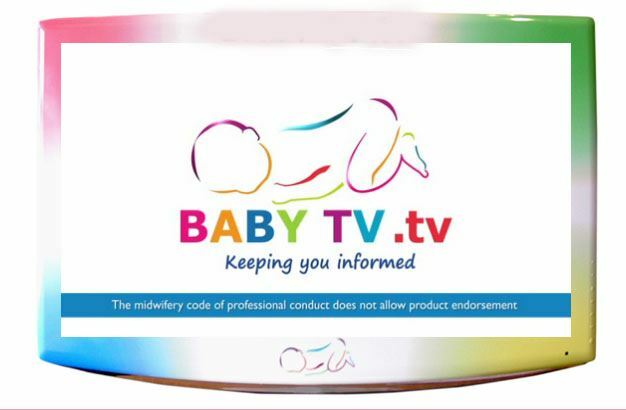 We are delighted to announce that Baby TV is supporting the CAA to ensure that new parents know about the Children's Activities Association and to look for the CAA logo when choosing those all important first activities to enjoy with their baby. Baby TV has informed parents across the UK for over 10 years with a network of 350 state of the art audio-visual screens in over 130 NHS hospital antenatal clinics and maternity units across England and Wales. 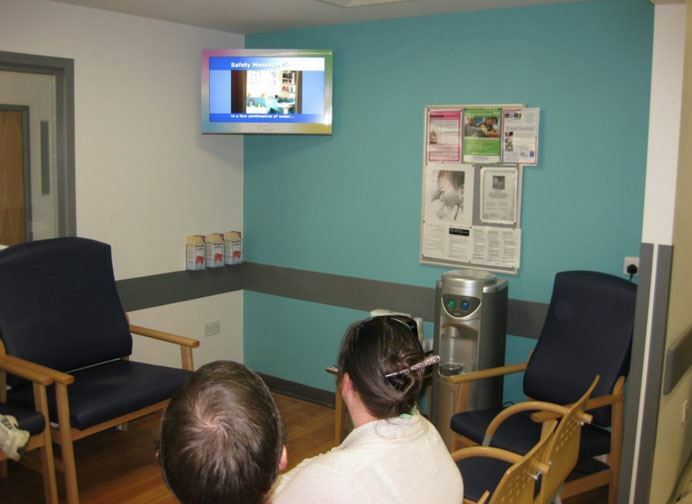 Baby TV is a unique information channel reaching mums-to-be in hospital antenatal waiting rooms nationwide. Through sharing advice, best practice and relevant information, Baby TV aims to help parents-to-be make informed decisions for the health, welfare, safety and happiness of both themselves and their future baby. The new CAA video will be showing across the Baby TV network later this year. Nursery World magazine have done us proud with a fantastic article on CAA accreditation. Featured are several of our members and Dr Amanda Gummer who comment on our accreditation. Thank you Nursery World for your support!